A quiet baby, unalarmed by a masked, armed SWAT team invading his family’s home is one of the most haunting images in KUED’s documentary, "The Aftermath of Meth." Most children would be crying loudly out of sheer horror at the disruption of normal life, at the guns, at the strangers in their house, or at the terror on their mothers’ faces. Instead, the listless baby of an addict in the film seems accustomed to an erratic life, where anything even alien officers performing a drug bust can happen. The "Aftermath of Meth" takes an in-depth look at how methamphetamine addiction has taken its toll in Utah. An advanced screening was held at the Salt Lake Library last Wednesday, featuring a Q and A afterward. The documentary will debut on KUED this coming Wednesday, May 30. Methamphetamine is a stimulant created from a mixture of drugstore cleaners and over-the-counter medications, many labeled with warnings of skulls and crossbones. Among the ingredients? The antihistamine Sudafed and lye soap used in industrial drain cleaners. Yet users and recovering addicts interviewed in the documentary report methamphetamine has given them such a high from the dramatic increase of dopamine, their brains never forget it. A man who went to the screening last week identified himself as a recovering meth addict said that he struggled with addiction for 36 years. "Two hits off a meth pipe and you’re hooked," he told the audience after watching the documentary. Summit County Sheriff David Edmunds calls meth the most "insidious" drug, because of its power over those who use it. People will do anything even commit murder to get a fix, he says. "It’s a very destructive drug there’s no question," he confirms. "Anything you can do to keep loved ones and family members away from this stuff, the better off society is going to be." Cocaine continues to outrank methamphetamine in Summit County as far as arrests for "hard" drugs are concerned, according to Edmunds. However, the use of the drug has grown. When Edmunds began working in Summit County as a police officer 14 years ago, he saw little methamphetamine abuse. He estimates that within the last year, deputies from his office, the Park City Police Department and Utah Highway Patrol have arrested 100 people locally for possession of meth. Attraction to the drug does not appear to target one class or ethnicity in particular it does not discriminate. "The Aftermath of Meth" discusses the use of the highly toxic drug on the rural Intermountain West on Native American reservations, among nearly a third of all oil rig crews in the Uintah Basin, and by members of middle-class families. Edmunds has not seen the documentary, but, like the film, speculates that the presence of Mexican drug cartels and drug trafficking from Mexico, have fueled Utah’s methamphetamine surge. At last Wednesday’s screening, Salt Lake Narcotics Sgt. Mike Ross said at its height in 2000, Utah had 220 known labs, which ranked the state with the highest meth labs per capita. The film’s producer Kathy Weiler says the unique attributes that characterize the rural American West — thinly-stretched, small-town law enforcement, overburdened health care facilities and vulnerable Native American populations contribute to the high meth statistic. Despite the fact that there are fewer meth labs in Utah these days, Weiler claims the prevalence of the drug continues. The drugs are cheaper in Mexico and most people purchase methamphetamine after its been smuggled across the border, she says. According to "The Aftermath of Meth," the impact of the drug on Utah has put the state’s Division of Family and Child Services on a "red alert." Parents abusing the drug with meth labs in their homes expose children to toxic gases. The effects of meth abuse depicted in Weiler’s film are visually and emotionally jarring: addicts lose a lot of weight, pick their skin out of anxiety, lose their teeth and destroy their families. A couple in the film discover that their new house is making them ill because it was once home to a meth lab. Though the couple have never taken meth themselves, the presence of the toxic off-gassing from the lab has remained in the walls and floors. They are forced to throw their furniture and heirlooms away and gut their house. Edmunds reports, relative to other counties he has worked in, methamphetamine abuse in Summit County is low. "I equate aggressive law enforcement to the low amount of [meth abuse] we have in this county I believe there’s a direct correlation between the two," he said. we’re going to eventually find you, we’re going to eventually arrest you and you’re going to eventually be prosecuted. Take it somewhere else, because you’re not going to want to set up your operation here." 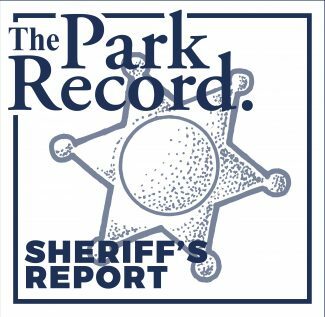 According to Edmunds, the penalties for methamphetamine possession in the Park City area are more severe than in other parts of the county. 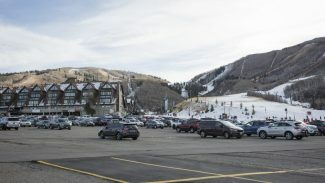 Much of Park City has been declared a "drug-free zone," making penalties harsher. 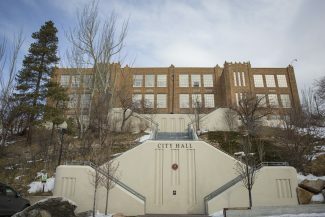 A person caught with methamphetamine on their person in the Park City area, is therefore likely to be charged with a first-degree felony, he said. "The Aftermath of Meth" will begin at 8 p.m. on television’s KUED Channel 7. Following the program will be "Hope After Meth," a segment that explores the avenues for treatment and support. At 9:30 p.m., KUED will air "Mother Superior," a Spy Hop production that focuses on mothers and meth addiction. 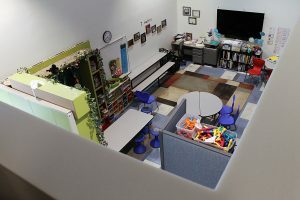 For more information, visit http://www.kued.org .